Get a quote for expat health insurance in Nicaragua. Moving to Nicaragua? Get a moving quote. 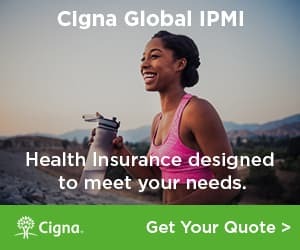 Get a quote for expat health insurance in Nicaragua from our partner, Cigna Global Health. Expats in Nicaragua talks about living in Nicaragua - the high numbers of retirees, the kind and welcoming Nicas, the challenges they face learning the language and more. Did you know that lots of homes in Nicaragua don't have hot water? Did you know that it's very easy to meet other expats in Nicaragua? Expats share their tips for living in Nicaragua. Expats discuss the best places to retire in Nicaragua. From upscale communities on the Emerald Coast to the beautiful city of Granada, Nicaragua is no longer just a haven for surfers. An expat who moved to Leon, Nicaragua talks about how she chose Leon, finding her first place to live with the help of a local real estate agency, getting advice from other expats before she moved and much more. She advises others to bring more sheets and towels, more pots and pans and to leave fancy, warm clothing and shoes at home.